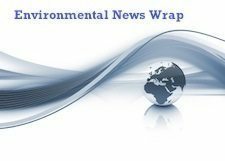 Environmental News Wrap: BP's Bill for Devastating the Gulf and more.. The legal repercussions from the Gulf Oil Spill are coming to fruition for BP; the money they will pay out money to the US government will in turn be funneled to states like Florida so they can fund environmental restoration efforts. Peak Oil theory is often interpreted to mean that we are running out of oil in the near future. A more accurate historical interpretation is that we are running out of easy to find and extract oil. But, the fact is that we do not know what is out there, we may find easy to extract, low sulfur oil. As an environmentalist, that is not the point, the point is that there is a huge negative impact during extraction, refinement and use. Someone once famously said something about the stone age that we can apply to the age of oil: the stone age did not end because we ran out of stones. The price of natural gas is low right now, but like oil it will not stay low forever. With the Northeast of the US reliant on natural gas any fluctuation in price is felt by homeowners, and without alternatives they are stuck with whatever comes their way. This arrangement is not an ideal of capitalism or the “free market.” A mixed energy system is what we need and renewable energy is what can diversify our energy sources and stabilize prices. Natural gas extraction is not clean and results in a lot of leakage into the environment. A natural gas well in the Gulf of Mexico is leaking out of control, it started back in early February. Climate change and global warming are great threats, but the media often focus too much on the debate about global atmospheric temperature. The actual temperature increase from our dirty lifestyles is only one issue, another huge issue is species extinction. More species are disappearing than you probably think. If you don’t keep track of which companies and owners of companies spend their money to fight things like climate change legislation then you are funding political campaigns that run against your beliefs and interests. In the US we know that Georgia-Pacific is owned by the Koch brothers and they are the largest funders of climate change denial, in the UK though a clandestine movement of the rich class is undermining the UK effort to address climate change through legislation. In an economics class in college I proposed that many of our environmental problems could be solved if we cut meat consumption in half. A student raised his hand and said “but I like meat,” and the whole discussion was over. It is our unmoderated appetite to have whatever we want now that will not allow us to have basic needs in the future, like a livable atmosphere. The United Nations is now making this same recommendation to the rich world. The oil and gas industries are heavily subsidized by the US federal and state governments. They will start a tax break for one reason or another and then just maintain the break long after the original justification is expired. Solar power in Australia has become cheaper than oil. Moving forward we will most likely see the funding of renewable energy projects over oil and gas projects. If this position holds then increasing energy capacity and replacing old power plants will all go to renewable energy. This is a huge victory for not only Australia but the global infrastructure for renewable energy. Superstorm Sandy put global warming back in the spotlight. Democrats in Pennsylvania are responding by proposing an increase in the amount of renewable energy that utilities are required to produce by 2023. The US national government needs to support renewable energy is a cohesive and predictable way. This means passing something like a national carbon tax. US voters are certainly in support of national action on global warming. The Canadian Alberta Tar Sands are a very carbon emissions intensive oil source. But, apparently oil fields in California are just as bad. Sounds like we should switch to a new energy source.